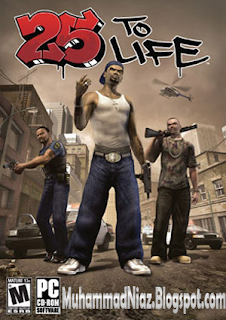 25 to Life Game is a lifelessly generic shooter that, at times, feels like Max Payne without the fun. 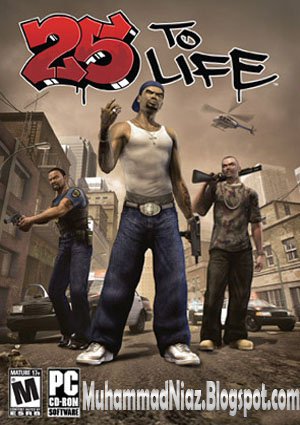 In 25 to Life, you can play as either a cop or a gangster. Set in the heart of today's cities, the game lets you experience the gritty lifestyles of police task forces or, as a gangster, survive the local neighborhood thugs while fighting your way up the ranks. Throughout the early and mid '90s, there was a boom in movies that took place in "the hood." This urban-themed movie trend really kicked off due to the success of John Singleton's Boyz n the Hood. After that, the "me too" phenomenon kicked in, and there was suddenly a glut of gangsta movies--the quality of each steadily declining the further in you got. The same phenomenon is happening with games. While games like Grand Theft Auto: San Andreas stand out as Boyz n the Hood or Juice equivalents, we're also getting our video game equivalents of junk like Tales From the Hood or (shudder) Phat Beach. 25 to Life is the latest in line, and this third-person shooter is, in a word, dumb.